JUNO-DS88 (top) and JUNO-DS61 Synthesizers. Roland has just launched the JUNO-DS series, the latest evolution of the popular JUNO line. Offered in two different models—the JUNO-DS88 and JUNO-DS61—these impressive new instruments are filled with updated sounds and many enhanced features. Like all JUNO synths, they’re easy to use and deliver incredible value, putting top-level performance within the reach of everyone from working pros to casual hobbyists. The JUNO-DS61 comes with the familiar 61-note synth-action keyboard, while the JUNO-DS88 is equipped with 88 weighted-action keys, a first in the long history of the JUNO series. Aside from their keyboards, the two synths have identical feature sets. Lightweight and easy to carry, the JUNO-DS88 and JUNO-DS61 are made for creative musicians on the go. Even with its 88 weighted keys, the JUNO-DS88 is surprisingly mobile, thanks to Roland’s Ivory Feel-G Keyboard with progressive hammer action. Developed specifically for excellent performance with reduced weight, this keyboard provides quality touch and playability that rivals that found in our acclaimed digital pianos. The JUNO-DS instruments are lightweight and easy to carry. Adding to their portability, JUNO-DS instruments can run on batteries as well as AC power. This provides great versatility for playing in all sorts of situations where AC power is limited, like street busking and other outdoor settings. When paired with a battery-powered amp like the KC-110 or CUBE Street EX, you have a self-contained performance system that will go anywhere you want to play! 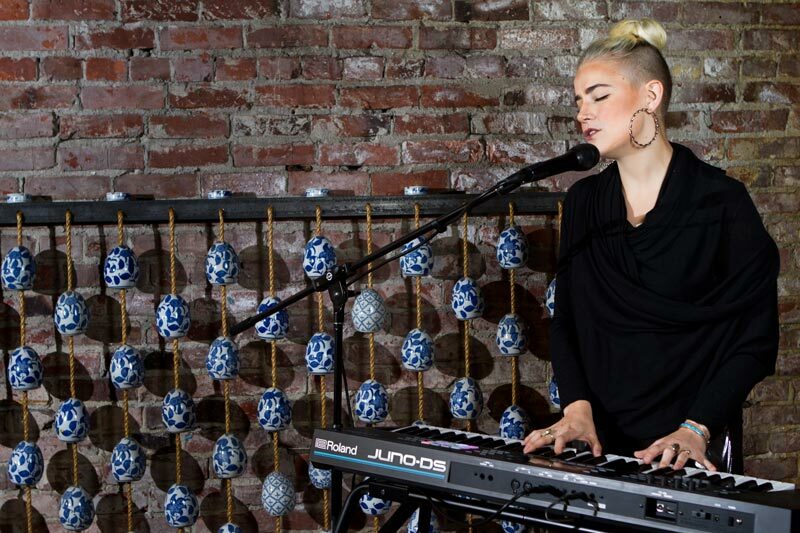 The JUNO-DS88 and JUNO-DS61 are obviously excellent choices for any performing keyboardist. But with their mobility, great sounds, and advanced features, they’re also ideally suited for music production at home or on the road, as well as school bands, music labs, and other education environments. The JUNO-DS88 and JUNO-DS61 Synthesizers can run on AC power or eight AA-size batteries. Speaking of great sounds, the JUNO-DS88 and JUNO-DS61 are loaded with them. The instruments include the entire 1000-plus sound set from the previous-generation JUNO-Di, and patches from that keyboard are fully compatible. And that’s just the start. For most performing keyboardists, acoustic pianos, electric pianos, and organs are the most-used sounds for everyday playing. In the JUNO-DS, the pianos have been newly enhanced with improved sound and response. They’re truly a pleasure to play, especially with the JUNO-DS88’s weighted-action keys. In addition, there are even more organs to choose from, providing greater variety for all types of music styles. All of these new sounds can be found in the DS Tone bank on the JUNO-DS. 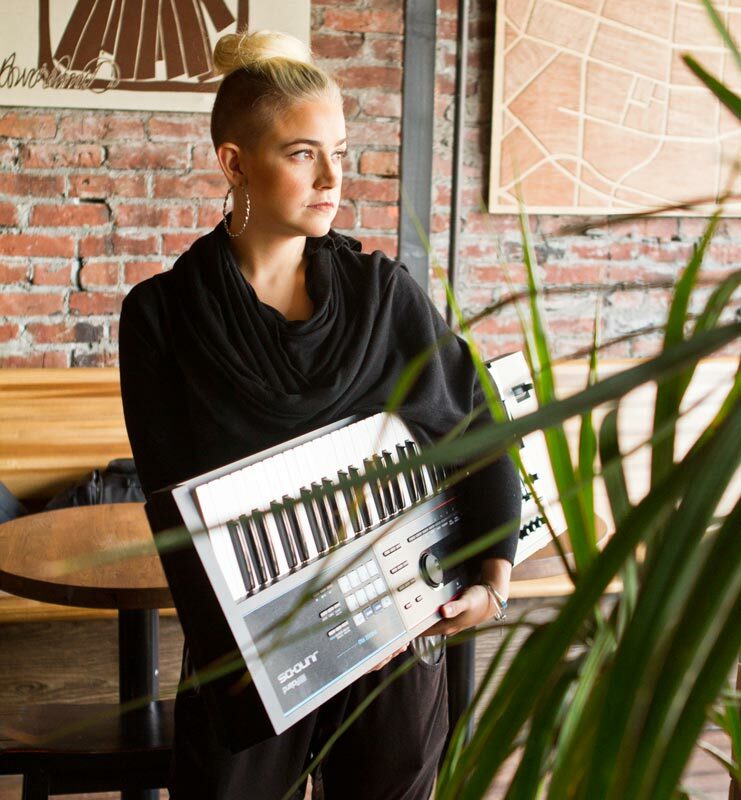 The compact JUNO-DS61 features a 61-note keyboard with high-quality synth action. Along with their powerful onboard sound sets, the JUNO-DS88 and JUNO-DS61 both include a “virtual” expansion slot that supports adding new waveforms via USB. At Roland’s Axial website, over 1000 EXP sounds are available for free, letting you customize the instruments for different songs and styles. The EXP sounds are derived from Roland’s historic SRX Expansion Board series, which were compatible with legacy instruments like the Fantom-X, XV-5080, and many others. These add-on hardware boards were extremely popular with studio players, and their sounds have been heard on countless hit songs through the years. Now, thanks to modern flash technology, JUNO-DS owners (and FA-06 and FA-08 owners as well) can access these classic sounds for free! The Axial EXP collections include acoustic pianos, world instruments, go-to studio standards, percussion, loops, and more. If don’t find what you need there, it’s even possible to load in WAV files from your computer and play them from the keyboard. To get you started, the JUNO-DS88 and JUNO-DS61 come with the EXP-06 Studio Collection preloaded in their wave expansion slots. An enduring hallmark of the JUNO series is simple, intuitive operation that lets you create music right away. While the JUNO-DS offers greatly enhanced capabilities over previous generations, it still keeps things straightforward and easy to navigate. The well-organized front panel on the JUNO-DS88 and JUNO-DS61 makes operation a breeze. The front panel provides an expanded selection of knobs and sliders for creating patches and adjusting sounds as you perform, and more under-the-hood editing parameters allow sounds to be adjusted with finer detail than before. With the eight Phrase Pads, you can supplement your keyboard performances with samples or music files stored on USB memory. Just load up the pads with one-shot samples, vocals, sound effects, loops, or complete music tracks, and trigger them with a quick touch as needed. The JUNO-DS includes an input for plugging in a mic, a really handy feature for solo performers and singer/songwriters. There’s a dedicated vocal reverb for enhancing the sound, plus Auto Pitch for singing with the “hard-tuned” vocal effects that are so popular today. The built-in vocoder is also great fun and easy to use, allowing you to sing into a mic and control the tone and pitch via sounds played on the keyboard. With a built-in mic input and dedicated vocal effects, the JUNO-DS88 and JUNO-DS61 are perfect for solo performers and singer/songwriters who like to travel light. Using the JUNO-DS’s onboard pattern sequencer, it’s simple to capture songs or beats when the inspiration hits. The sequencer’s non-stop operation lets you record music in real time, allowing you to quickly build up impressive arrangements with multiple different sounds. In addition to being a great music development tool, the sequencer can add dimension to your live performances with backing music playback and on-the-fly looping. 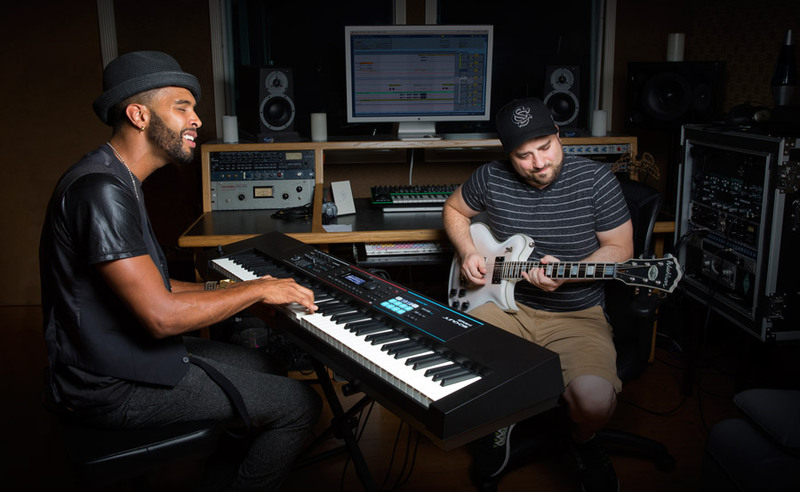 In addition to their self-contained music production abilities, the JUNO-DS88 and JUNO-DS61 work equally well with other gear in a studio environment. The built-in USB audio/MIDI interface provides a capable front-end for your DAW of choice. You can record MIDI tracks in your software, and use the JUNO-DS’s quality sounds along with your soft synths to ease the load on your computer. You can also capture audio tracks via the mic input. 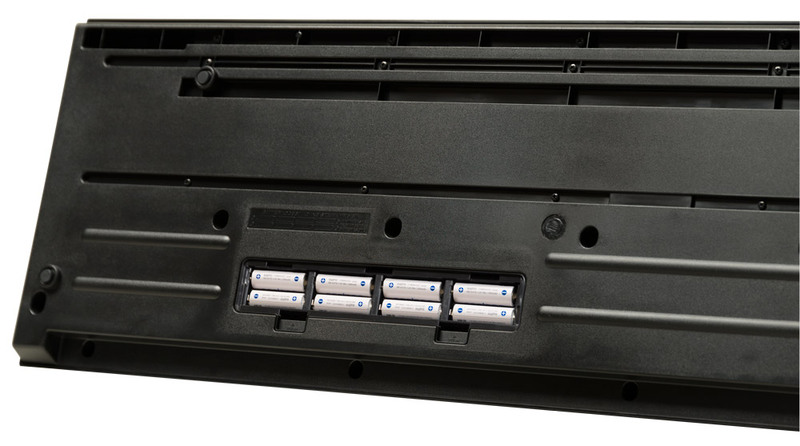 Additionally, standard MIDI I/O connectors are on hand for interfacing with any other MIDI gear you might have. The JUNO-DS88 and JUNO-DS61 easily transition from stage to studio use. Learn more about these powerful new synths at the JUNO-DS88 and JUNO-DS61 product pages at RolandUS.com.